Scientists from the Niels Bohr Institute at the University of Copenhagen have, for the first time, succeeded in producing, controlling and understanding complex quantum states based on two electron spins connected to a superconductor. The result has been published in Nature Communications, and has come about in a collaboration between the scientists of the Niels Bohr Institute, a scientist from abroad and last, but not least, a Master’s thesis student. 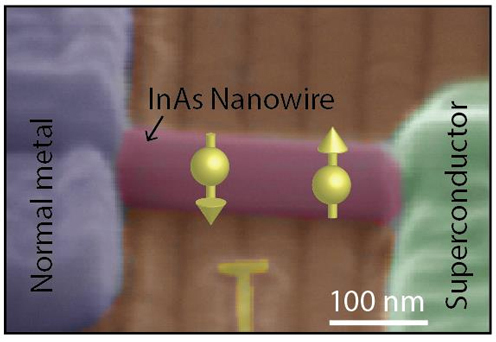 Scanning electron microscope micrograph of a semiconductor nanowire, made from Indium Arsenide, connected electrically to a superconductor and a normal metal. The location on the nanowire of the two spins – the microscopic magnets – are illustrated by the arrows. In this case the microscopic magnets are created by electron spins. Quantum technology is based on understanding and controlling quantum states in e.g. 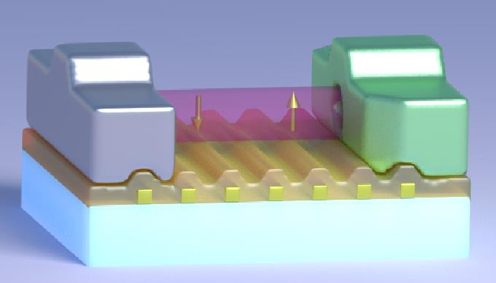 nanoelectronic devices with components at the nanoscale. The control could be via electrical signals, like in the components of a computer. The devices are just significantly more complex, when we are dealing with quantum components at nanoscale, and the scientists are still examining and attempting to understand the phenomena that arise on this tiny scale. In this case it is about the quantum states in nanoelectronic devices made from semiconductor nanowires and superconducting material. This requires understanding two fundamental phenomena in modern physics, magnetism and superconductivity. The scientists have defined microscopic magnets electrically along a semiconductor nanowire. This is done by placing an electron spin close to a superconductor and then observing how it changes the quantum states. By placing two microscopic magnets rather than one, as has been done before, the possibilities for observing new quantum states arise. In this way the scientists accumulate knowledge by adding more and more complexity to the systems. “It is a bit like playing with building blocks. Initially we control one single electron spin, then we expand to two, we can modify the coupling between them, tune the magnetic properties etc. Somewhat like building a house with each additional brick increasing our knowledge of these quantum states.”, says Kasper Grove-Rasmussen, who has been in charge of the experimental part of the work. It is all about categorizing the different quantum states and their relations to one another, in order to achieve an overview of how the individual parts interact. During the 1960s, the theoretical foundation for this work was done, as three physicists, L. Yu, H. Shiba and A.I. Rusinov published three independent theoretical works on how magnetic impurities on the surface of the superconductor can cause new types of quantum states. The states, now achieved experimentally by the scientists at the Niels Bohr Institute, are named after the physicists: Yu-Shiba-Rusinov states. But they are significantly more complex than the Yu-Shiba-Rusinov states with a single spin previously achieved. This could be a step on the way to more complex structures that would enhance our understanding of potential quantum computer components, based on semiconductor-superconductor materials. Kasper Grove-Rasmussen emphasizes that what they are doing now is basic research. 3D model of the Yu-Shiba-Rusinov device. Two electron spins are defined along the nanowire, by placing appropriate voltages on the tiny electrodes under the nanowire. By coupling the spins to the superconductor Yu-Shiba-Rusinov states can be realized. Observation of these states are achieved by analyzing the current through the device from the normal metal to the superconductor. Gorm Steffensen, now a PhD student at the Niels Bohr Institute, was writing his Master’s thesis at the time of the article, and has played an important role for the result. He was studying theoretical physics and has collaborated with his supervisor, Jens Paaske, on describing the quantum phenomena theoretically. So the article also demonstrates that collaboration on a scientific result at the Niels Bohr Institute can include the students. The task for Gorm Steffensen was to develop a theoretical model that encompassed all the phenomena in the experiments in collaboration with his supervisor and the Slovenian scientist, Rok Žitko, on. The nanowires in the experiment were developed by PhD students in the research group of Professor Jesper Nygaard. 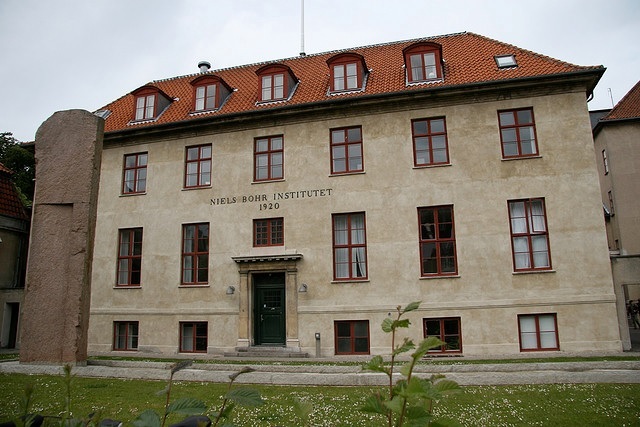 It is a common modus operandi for scientists at the Niels Bohr Institute to work together, applying many different competences across all scientific levels, from student to professor.